Applications for the 2019 Charter Business Officer Training program are no longer being accepted. Please contact us if you have any questions. Join our mailing list for news and updates about the 2020 CBO Training program. The Charter Business Officer (CBO) Training program is an intensive training that delves into the key fiscal management skills required of California charter school directors, business officers, governing board treasurers, and charter-granting agency staff members who have significant financial management and/or oversight responsibilities. This program is designed to keep schools on the right track and to successfully navigate any potential budgetary pitfalls that they may encounter. We are excited to be offering the program in a blended format that consists of both in-person and online instruction. This blended approach is intended to give participants additional flexibility with their schedules and help save participants' travel time and costs. 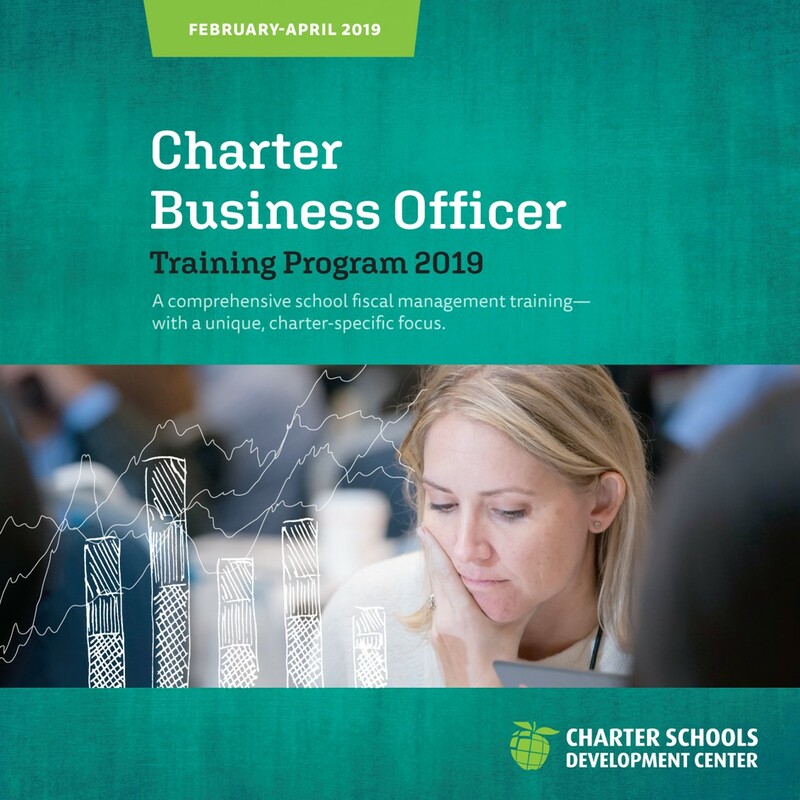 Download our latest brochure to learn more about the Charter Business Officer Training program. Gain both in-depth knowledge of the CA educational finance system—and understand charter schools' complicated fit. Widely recognized as the state's leading experts on charter school finance and policy, CSDC is uniquely positioned to help you understand how charter school finance and operations are similar to—but often differ from—traditional school system practices. Learn from CSDC's finance experts and build connections with charter school leaders from across the state of California. In addition to learning from CSDC staff and invited guest experts, you will also build professional connections with the dozens of California charter school leaders CSDC carefully selects for each CBO Training program. Make efficient use of your time, as well as your school's professional development budget. The CBO Training program is delivered in a blended format consisting of both multi-day in-person sessions and online modules. Minimize time away from your school. The CBO Training curriculum is organized into a series of modules presented online and in-person. Below is a sample schedule and list of modules from our 2019 CBO Training. Schedules and modules are updated and added each year. Please note that for the CBO Training program, the sequence of the modules may not follow the order in which they appear below and that CSDC reserves the right to add, modify, or delete modules as programming requires. This module provides a basic introduction to California’s K-12 education system, with an emphasis on how charters fit into this complex multi-agency and multi-layered system. Participants will gain both an historical and conceptual framework for understanding the current trends in California education finance. This module provides an overview of the fundamentals of how charter schools are funded, including general-purpose funding and the Local Control Funding Formula (LCFF) and Local Control Accountability Plan (LCAP); as well as restricted state and federal programs and other special funding sources; charter school accountability; and minimum charter renewal thresholds. Also included is a discussion of "direct" versus "local" funding and how charter school funding compares with and differs from the district funding system. Provides an overview of the many remaining state, federal, and other categorical funding programs available to charter schools, including detailed information on how to apply for, manage, comply with, and maximize the benefit of each. Provides participants with an in-depth understanding of the definition and concepts of average daily attendance, the primary driver in computing school funding entitlements, specifically in the charter school context and its interaction with innovative instructional practices. Includes a discussion of the various forms of school attendance, including compulsory attendance, attendance as it relates to academic credit, credentialing, and attendance for apportionment credit. 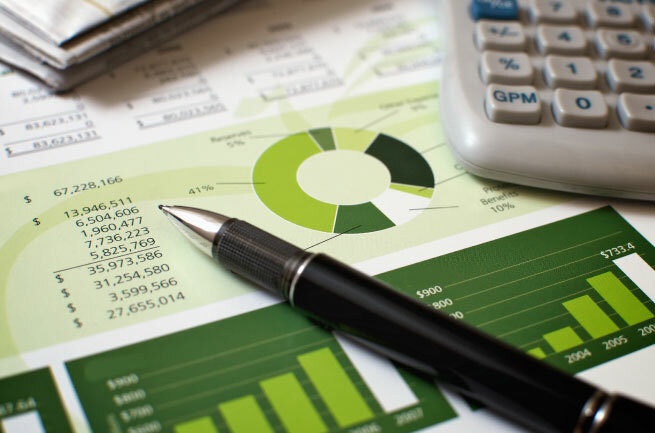 An overview of charter school accounting, including the accounting cycle; how to establish a chart of accounts and account code structure; electronic accounting systems/packages; and accounting bases and standards. This module also provides an overview of these matters in traditional school districts, as well as a more detailed overview of how charter schools address the same challenges and issues. Provides an overview of the role and purposes of budgets and financial plans, typical processes and strategies for developing them, as well as how to monitor them during the course of the fiscal year. This module will also provide training and hands-on experience for using the Fiscal Crisis and Management Assistance Team’s LCFF calculator for budgeting and planning purposes. Provides participants with a detailed understanding of the timing of state and federal charter school revenues and how the flow of these funds relates to the state apportionment calendar. This module also provides an overview of how to use these data, along with school-specific expenditure data to develop accurate cash flow projections. Lastly, this module will discuss practical tips for managing projected cash shortfalls, including economical short-term borrowing practices. Provides a basic overview of fundamental auditing concepts, the laws and processes that govern school district audits, and a more detailed review of charter school auditing requirements. This module also provides practical suggestions on how to develop and manage an internal and external auditing process, read and understand audit reports, and prevent and manage negative audit findings. Provides an introduction to developing, refining, and using long-term budget projections and plans. This module will provide participants with ideas for designing easily-updated electronic financial planning tools (e.g., Excel-based models). Builds on concepts introduced in previous modules and provides a detailed overview of how charter schools and charter-granting agencies may use fiscal and other data to monitor and oversee the fiscal solvency of charter schools and the propriety of their financial management practices. Also provides an overview of common fiscal reporting requirements. Presents an overview of the fundamentals of laws governing the education of students with exceptional needs, how special services are provided and funded, and how charter schools can manage the costs and risks associated with special education while maintaining and supporting strong academic performance among students with exceptional needs. This module provides an overview of how school districts and charter schools plan for, acquire, and finance school facilities, including Proposition 39 ("rent free," district-owned facilities) and the state's lease aid program, bond financing and other funding sources. Provides participants with the fundamentals of charter school personnel and human resources management, including labor and employment law specific to the business office; collective bargaining and labor (union) relations; applicable staff qualifications and credentialing requirements; and best practices. Provides an overview of the major areas of risk that charter schools face, organizational and practical strategies for mitigating and preventing risk, and options/strategies for insuring against risk including general liability, workers' compensation, property, fidelity, and other lines of insurance. This module also covers the basics of benefits typically offered by charter schools, including health and welfare, STRS, PERS, and other retirement plan benefits. Managing the myriad requirements of reporting, compliance, and auditing takes focus and determination. This module will help charter CBOs gain strategies for efficiently and expertly managing all of the priorities. The full CBO Training program consists of a series of in-person and online sessions. Please note that the following information is for our 2019 CBO Training program. Dates and locations for our 2020 CBO Training are to be determined and will be announced at a later time. Please join our mailing list for the latest updates. Attendees of the Charter Business Officer Training are invited to reserve a room under CSDC's room block to receive a discounted nightly room rate as well as other benefits. Accepted applicants will receive more information about this opportunity. Please note, rooms are limited and are available on a first-come, first-served basis and must be reserved for each separate session block. Online sessions will be provided to supplement the in-person trainings. Participants are expected to complete these online trainings in preparation for the in-person sessions. Please join our mailing list to learn about tuition prices when they are announced. Organizations with an active CSDC membership receive a discount on tuition. For more information about this and other benefits of CSDC membership, please visit our website, www.chartercenter.org/membership. The CBO Training program is designed for charter school directors, business officers, and other school staff who have significant financial management and/or oversight responsibilities and who are committed to attending and participating in a rigorous training program. The CBO Training program is not open to charter school consultants and other service providers. Applications for the 2019 Charter Business Officers Training program are no longer being accepted. Please contact us with any questions or join our mailing list to learn more about the 2020 CBO Training program.